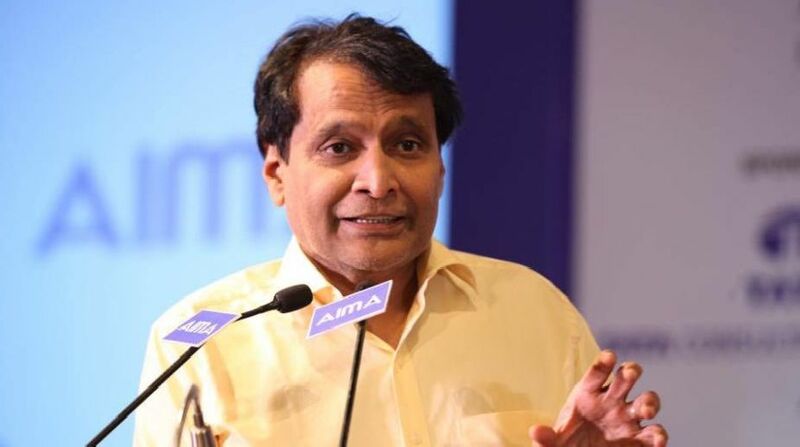 In a bid to promote ease of ticketing through digital transactions, Railway Minister Suresh Prabhu on Tuesday released the new passenger mobile application named 'IRCTC Rail Connect app'. "Currently e-ticketing system caters to over 10 lakh passengers daily (comprising 58 per cent of total reserved passengers). And to increase the ease to users, a new Android-based mobile application for reserved booking IRCTC Rail Connect has been developed," Prabhu told reporters here. Further, Prabhu inaugurated many non-fare initiatives and IRCTC mobile apps. Explaining about the new mobile IRCTC app, Prabhu said: "Rail Connect has been developed to bring the power of next generation e-ticketing system like high performance and enhanced security." The new mobile-based application will replace the old existing IRCTC connect app. According to the Minister, the new application has features like 24/7 service with no time based checks, synchronisation of mobile app with NGET (Next Generation e-Ticketing) for ticket booking, simple and easy user interface and supports general, ladies, Tatkal and Premium-Tatkal quota. The new application sports other features like advanced security of self-assigned PIN (Personal identification number) to login without entering username and password on each login. Prabhu pointed-out that a new user registration and activation can now be directly done through the IRCTC Rail Connect. The minister further said that the new application will be integrated with IRCTC e-wallet for faster and hassle free transactions. "Through IRCTC Rail Connect app users can view and cancel old mobile app tickets also. The new app will provide payment gateway to over 40 banks to facilitate payments through net Banking, credit or debit cards and wallets like Paytm, PayU, Mobikwik," Prabhu informed. "The IRCTC Rail Connect will also be inter-connected with IRCTC AIR, Food on Track mobile apps to facilitate booking of air tickets and food through e-catering."